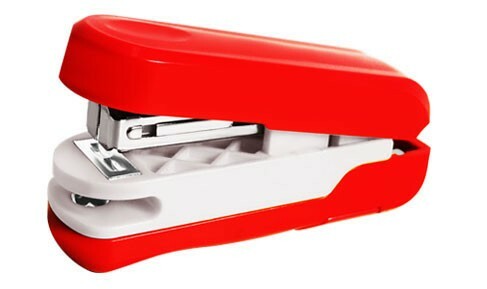 Practical stapler for use while travlling. INDICATED MAXIMUM STAPLING DEPTH UPTO WHICH PAPER CAN BE INSERTED AND TOTAL BASE LENGTH. HERE STAPLING DEPTH IS 25MM AND BASE LENGTH IS 76MM.